Although Edward Snowden’s NSA document leaks haven’t made us safer, yet, he has made us disturbingly aware of just how powerful and far-reaching NSA spying truly is. 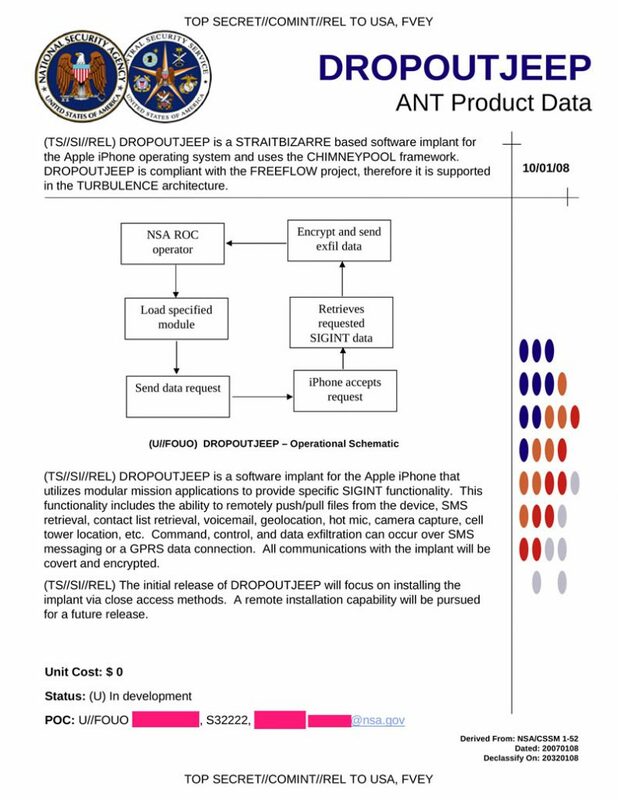 And, as GI Joe taught us in ’80s, “Knowing is half the battle.” Enter DROPOUTJEEP, an NSA program that can pwn any iPhone with 100 percent success. Either [the NSA] have a huge collection of exploits that work against Apple products, meaning they are hoarding information about critical systems that American companies produce, and sabotaging them, or Apple sabotaged it themselves. Of course, that doesn’t mean a backdoor or hack that delivers a backdoor doesn’t exist — both NSA and various US companies have used weasel words in the past to obfuscate what’s really going on. However, Cook’s statement contrasts sharply with the admission from Google that Android does include NSA developed code, though it has been repeatedly denied that represents a backdoor. So, is anyone safe? Likely not. Der Spiegel also reports that the NSA’s Secret Toolbox includes gadgets for every need. Essentially, if recent reports are to be believed, the NSA can get at and into any device. It is starting to sound like the NSA is all powerful, which it clearly is not. Seriously, no corporation let alone government agency, legal or not, is that competent.